Material Of Construction: Pcrc Sheet Acid Resistant Coating . We are leading solution providers for plant pathalogy equipments.We expertise in design and construction of Herbarium cabinets and museum cabinets. 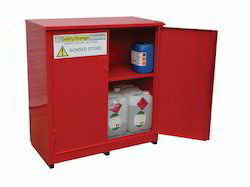 We also manufacture durable wall storage cabinet in high grade material duly powder coated. Ulta voilet radiation in all the above three mdels is in the range of 3200-4000 A.U and centred around 3600 A.U. Operating Voltage 230V, 50 Cy.125 Watts, A.C Mains. 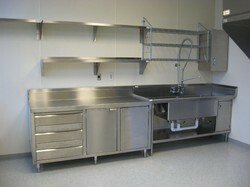 Being a leading firm in this industry, we are deeply engaged in offering a high quality range of Laboratory Cabinet. Microslide cabinet for storing 75x25mm microslides. Cabinet is made from laminated board. The drawers are serially numbered. Each drawer has index card frame and knobs. A lock is provided.